Who said a vote for Lib Dems was wasted? Certainly not David Cameron. No, he said a vote for the Lib Dems was a vote for Gordon Brown. In the end of course, a vote for the Lib Dems was a vote for David Cameron. And despite returning a fewer number of MPs than the previous election, it was also still enough to get Nick Clegg into Government. And David Cameron into Government. And turf out the tired old Labour regime. Truly the vote that just keeps on giving. I appreciate I’m jumping ahead of myself a tad here, but if this new spirit of cooperation works out, will Conservatives and Lib Dems still stand against each other in the next election, or will there be a single Liberal Conservative ticket? This new best friends’ club is overwhelming. Really. Let’s bottle the elixir and air drop it around the globe’s trouble spots. Our own Julia Goldsworthy must be gutted though, having lost her Redruth and Camborne seat to former UKIP European Parliamentary candidate George Eustice by just 66 seats. She must have stood a reasonable chance of a Government job. Anyway, while the Liberal Democrats still try to work out whether there will be a Liberal Democrat party left, Cornwall’s businesses are more concerned with running their own affairs. How will the new coalition work out? Do you think it will be good for business? Is the Government right to cut back so drastically on public spending, remembering just how important the public sector is down here in Cornwall? I’m sure many of these topics will be discussed during next week’s Cornwall Business Week. There are a number of events up and down the Duchy, including the Cornwall Business Fair, on Truro’s Lemon Quay, on Wednesday, May 19. To be honest, I don’t think Cornwall will see too much of a difference. So far, the public sector cuts being talked about are tiny in the grand scheme of things. Whatever your political persuasion, it is difficult to argue with Margaret Thatcher when she said that one of the main problems with socialism is “that sooner or later you run out of other people’s money”. As a result of Gordon Brown’s reckless taxing, spending and borrowing its imperative that our record breaking defecit is reduced. Quickly. Taxing wealth creators is counter-productive, so unfortunately the only way to re-balance our books is to cut the enormous and inefficient waste in our public sector. Unfortunately Brown’s ‘investment’ in the public sector was not motivated by acting in the national interest, but rather to create as many labour dependant voters as possible in the vain attempt of keeping Labour in power come election time. Thankfully the electorate saw through this. As far as public sector and government involvement in Cornwall goes, what the new coalition needs to do is create the right conditions for the private sector to thrive and be clever with their spending. There are some great entrepreneurs and businesses in Cornwall and these people need to be recognised and applauded for their absolutely key role in our society, rather than ‘greedy capitalists’ as Labour would have you believe. What they really need is great infrastructure, particularly in relation to IT and broadband, lower taxes, more encouragement of the local voluntary sector, fewer unecessary regulations and affordable housing. I might also add that organisations like Business Link are fantastic in mentoring new business start ups and fostering a ‘can do’ culture. I believe affordable housing is vitally important for Cornwall and our businesses. The majority of the young are massively overburdened with either paying huge mortgages every month or trying to save enough to get a deposit. If young ambitious people were relieved of this burden, in some part ,and had more disposable income then Cornwall would in turn see a flourishing of new business creation, especially as its the younger generation who understand modern communications and the new economy better than older, more unintelligent, organisations. 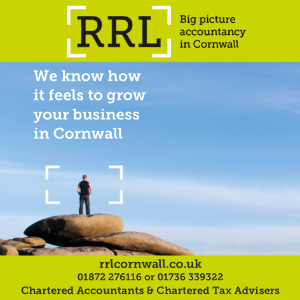 Finally, what businesses and employers in Cornwall also need is easy access to finance as well as appreciating asset values, both of which combine to make transactions and business happen. And this goes straight back to our sovereign debt crisis. Unless the government regains the confidence of the bond markets and government spending goes down, then credit at all levels will not start flowing again. Unfortunately it will take a while to sort out Labour’s mess and get to the point where asset prices start rising again and banks feel comfortable doing a steady stream of new business. Further proof of your Lib-Dem bias. A couple of weeks ago we were accused of being Conservative biassed, now Lib Dem biassed. Labour anoyone?